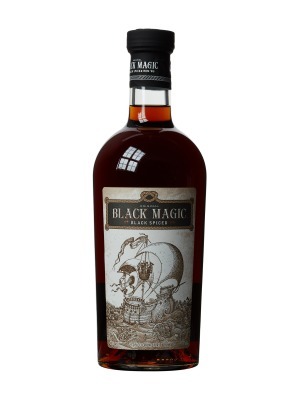 Black Magic Spiced Rum is a popular Rum available from TheDrinkShop in 75cl to buy online. Visit TheDrinkShop for the best price for 75cl of Black Magic Spiced Rum or compare prices on our other Rum products. Black magic black spiced rum is a superior rum with an exceptional taste. It is a perfect pairing with a nice spicy cigar or some tropical fruit dishes. Essences of coconut and butter waft up from a snifter. A dark spiced rum black magic drinks smoothly straight up. Lovely aroma that will send you straight to the beach in your mind. Where to buy Black Magic Spiced Rum ? Black Magic Spiced Rum Supermarkets & Stockists. You can buy Black Magic Spiced Rum online in most retailers and find it in the Rum aisle in supermarkets but we found the best deals online for Black Magic Spiced Rum in TheDrinkShop, Amazon.co.uk, and others. Compare the current price of Black Magic Spiced Rum in 75cl size in the table of offers below. Simply click on the button to order Black Magic Spiced Rum online now.